Dr. Teri Hines from View Optometry and Dr. Annie Savage from Bay Wellness Centre here. To celebrate National Nutrition Month we have teamed up to create a series of blog posts regarding eye health throughout your lifespan! We created 3 articles that we’re going to post weekly in March about eye development and eye health. We’re really excited to be working together to provide well-rounded preventive care to our patients and our audiences. We’ll start by explaining how the eye works, then move throughout the stages of life regarding eye health. We’ve provided nutrition tips and preventive care at each stage! Welcome to part two - if you missed part one, head back to last week’s post for information on how the eye works and eye health in babies. As children grow older it’s important to continue to nurture the growth of their eyesight. A healthy diet and healthy habits can go a long way for growing bodies! As we get older it’s important to continue to prevent diseases and ensure that we can age gracefully. One way to do this is to have routine exams with your Optometrist and Naturopathic Doctor. Eyesight typically begins to change or decline in the early 40’s and continues with time. Usually your vision for close distances changes first (the menu that used to be so easy to read is now impossible to decipher, especially in dark restaurants). This is when glasses are usually prescribed for reading. Adults over the age of 40 with the following health factors are at a higher risk for damaging their eyesight and should take particular cautions. Diabetes and high blood pressure in particular are hazardous to eyesight and the health of eyes in general. Diabetes is the leading cause of blindness in Canada; people with diabetes are more likely to develop cataracts at a younger age and are twice as likely to get glaucoma according to Diabetes Canada. Damage to the retina, caused by diabetes is the main threat to vision though. Diabetes causes changes in the vessels that nourish the retina, which is found at the back of the eye and projects what you see to your brain. In the early stages of diabetes, the arteries that supply the retina become weak and leak, leading to dot-like hemorrhages on the retina. These hemorrhages, often lead to swelling causing decreased vision. As the disease progresses, the retina loses its supply of oxygen due to decreased circulation. As a result, new blood vessels begin to form but they are weak and lead to hemorrhages as well; blood may leak into the retina, causing “floaters” and decreased vision. Continued progression of the disease will lead to blindness so please get yourself to an Optometrist if you start exhibiting symptoms. To prevent progression it is important to maintain healthy blood sugar levels, a healthy blood pressure, and visit your Optometrist once a year for an eye exam. Maintaining a healthy diet will also decrease the overall inflammation in your body. A plant-based diet is a great way to get all of your nutrients, and avoid unhealthy saturated and trans fats. 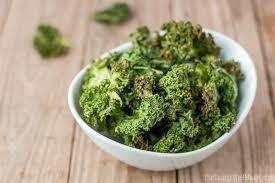 Eat your leafy greens – Fresh spinach and kale are loaded with two antioxidants called Lutein and Zeaxanthin. These antioxidants help protect against the damaging effects of UV rays – pack an extra-large salad on those sunny days or make some kale chips! Fruits and veggies – Fill your lunch bag with colorful Vitamin C rich foods, such as grapefruit, strawberries, bell peppers, and broccoli. Vitamin C is another vitamin that acts as an antioxidant by helping to absorb some of the harmful rays generated by the sun. Hummus – Enjoy some hummus with your veggies! 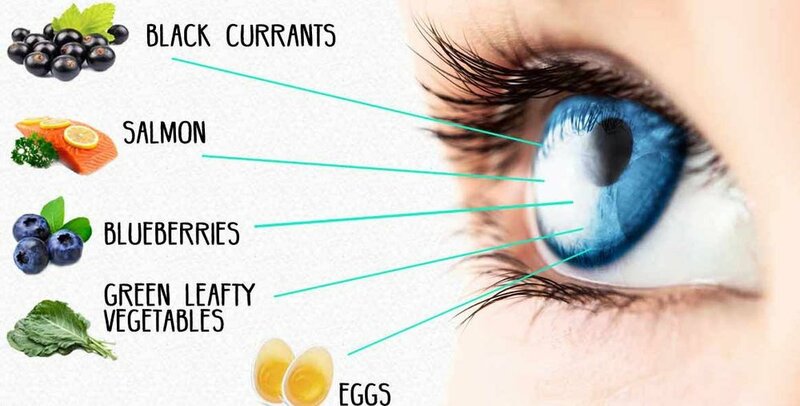 Chickpeas, as well as other legumes, contain Zinc which helps your liver release and drive Vitamin A to the retina to produce melanin – melanin helps protect your eyes from ultraviolet light. Visit the docks – Most know that Omega 3 fats have many disease fighting powers, but did you know that they can also help protect against age-related macular degeneration and dry eye? Cook up your favourite salmon salad recipe, or order some sushi to-go. Think Orange – (Remember that old saying “carrots will help you see in the dark”? Not completely true but they can help your sight!) Carrots, yams, and sweet potato are packed with beta-carotene, an antioxidant that can help reduce the risk of age-related macular degeneration and cataracts. 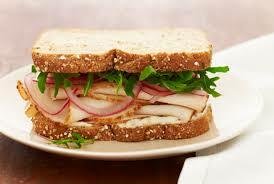 Use leftover turkey – Planning a picnic? Pack your sandwiches full of this zinc and niacin filled protein. In addition to helping fill your zinc quota for the day, turkey contains b-vitamin niacin, which can help protect against cataracts. We hope you enjoyed this week's article! Come back next week! We will be discussing eye diseases that affect older adults and how to prevent them.